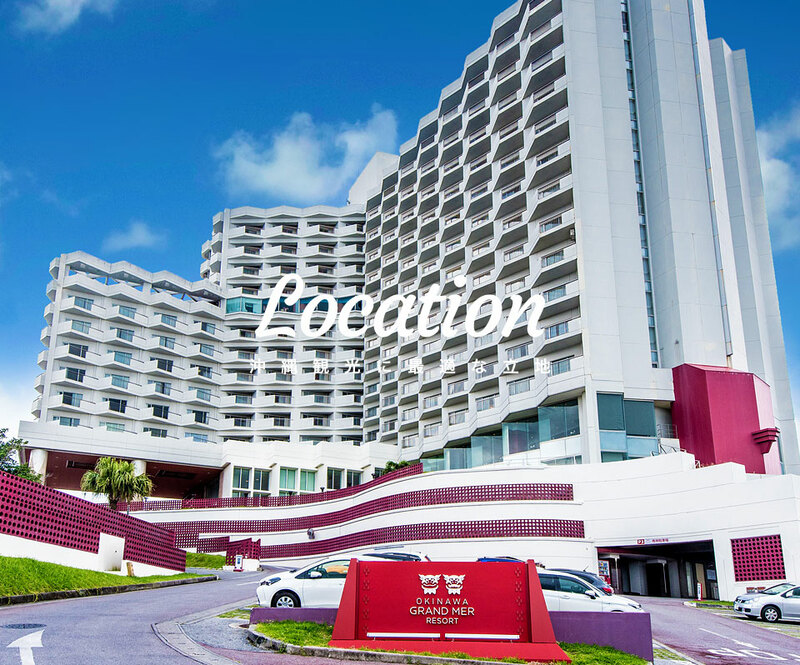 The Grand Mer Resort is an easily accessible resort hotel that is located in the central part of Okinawa. Search for Available RoomsHave you decided your accommodation dates? Children under 6-years-old sharing the bed with guardians may stay free of charges. Please do not enter the number of children staying if the child is younger than 6-years-old. Okinawa City is a place where Okinawan culture and American Culture are "champurued" (mixed). Filled with restaurants of foreign taste, you can hear the sounds of Eisa dancing and Okinawan folk songs in the streets of “Koza" and experience the "Deep Okinawa." 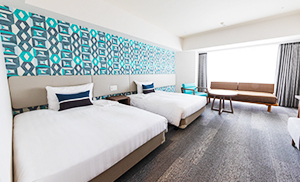 Our hotel is located in the heart of Okinawa City which provides easy access to Naha city and Churaumi Aquarium that is located in the northern part of Okinawa making it the best location as the base of your tour. 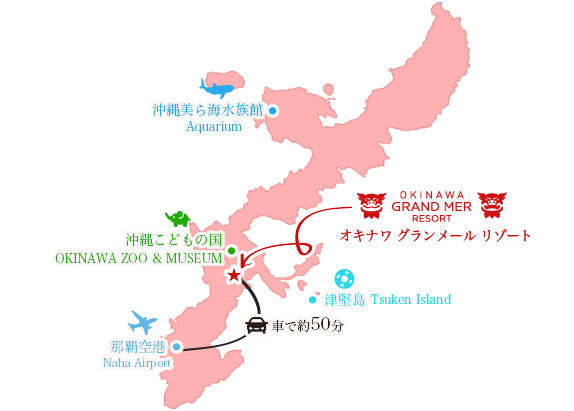 ※Must reserve in advance for the shuttle bus service. 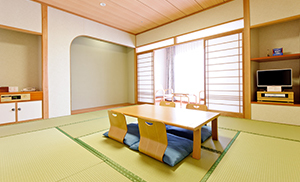 authentic Japanese cuisines and American Food such as pizzas and hamburgers. The rooms are very spacious and has an ocean view of the east coast which will take your resort stay to a whole another level. An ample space with an ocean view of the East Coast. 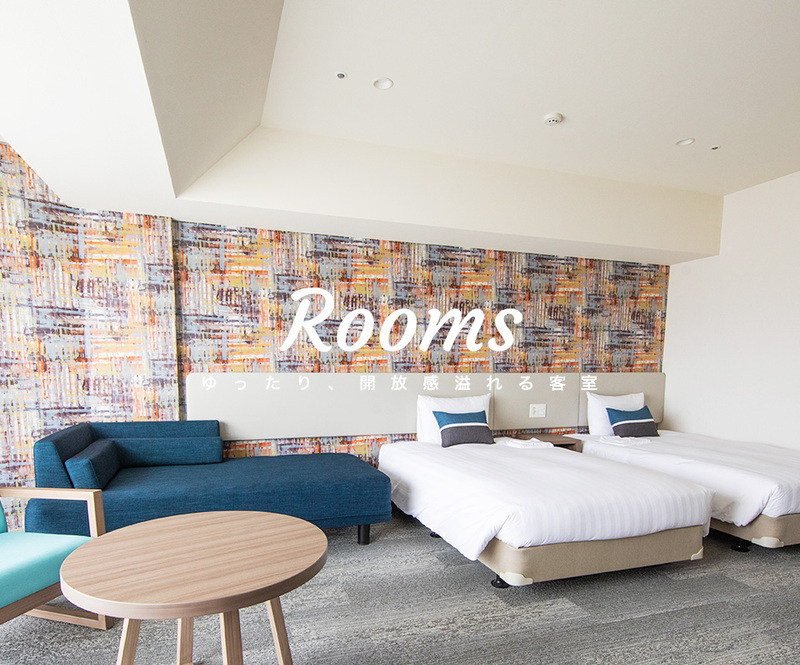 Enjoy the Okinawan Slow Life to the fullest with our spacious guest rooms that are over 40㎡, each with an ocean view terrace. I was able to choose different restaurants depending on my mood during my stay. 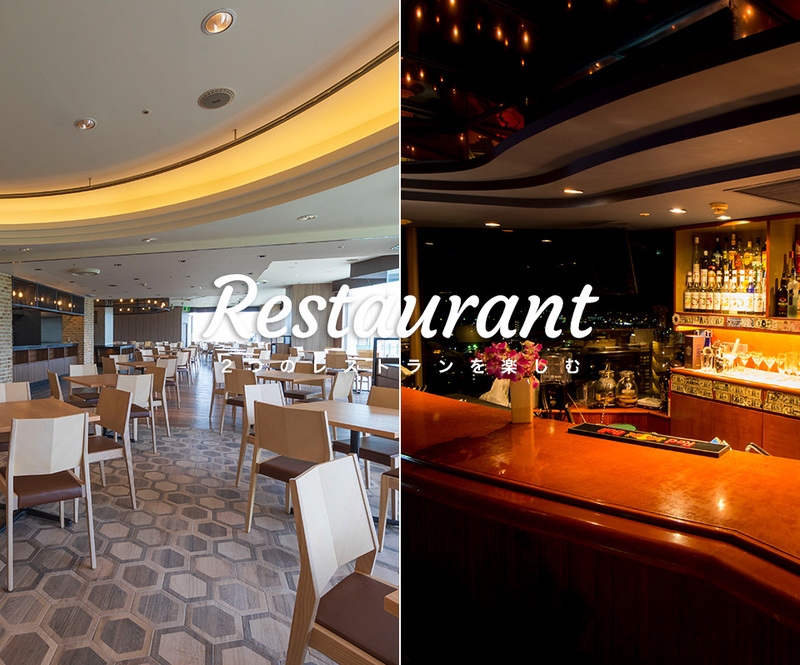 We have prepared 3 different restaurants for you to enjoy and they are Okinawan dishes, authentic Japanese cuisinces and American-style food! You can choose whichever restaurant you like depending on what you feel like eating on that day. With marine sports, gourmet, superb scenery, and island tours! There are plenty of activities! Super・Super・Super・Satisfied!! 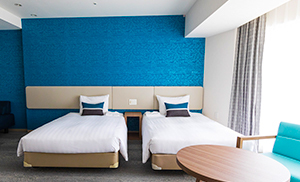 With the at-home feeling of the hospitality unique to Okinawa, we will add color to your special Okinawa trip. 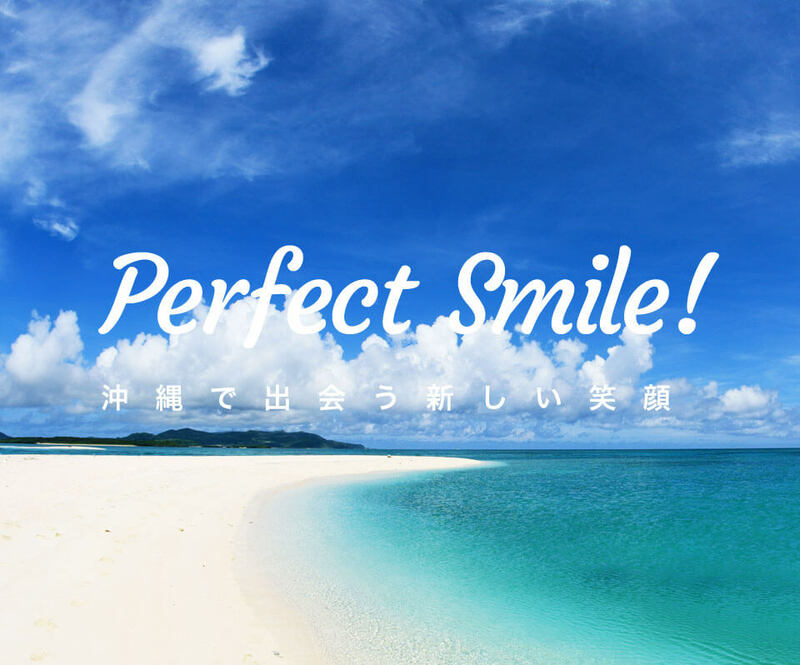 The OKINAWA GRAND MER RESORT not only prepared items to make your stay extra pleasant and many times more enjoyable. All rooms have Wi-Fi access. It is convenient for business and touring. We havehigh reviewson review sites! Please view our reviews on Trip Advisor. Accommodation reservations and plan listing. 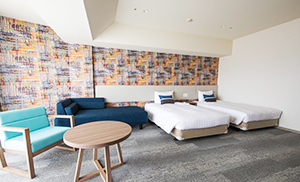 Okinawa Grand Mer Resort is managed by Kato Pleasure Group. Copyright 2017 Kato Pleasure Group. All Rights Reserved.